We’re crowdfunding for an all-weather caving activity created by young people, for young people. We are delighted to say that we have reached out target and the cave is soon to become a reality. Thank you to everyone who supported us and backed the project. This would not have been possible without you. Did you know that there are 42 fast food outlets for every school in Tower Hamlets? And that over a quarter of Year 6 students in Tower Hamlets are obese, a figure which raises to 63% in adulthood? Toynbee Hall has launched a new crowdfunder to raise money so that 12-13 year olds who are part of the Make it! youth project, can build an indoor caving experience and help get more young people get healthy and active and tackle obesity. Make it! offers young people the opportunity to make lasting change in their community while developing their critical thinking skills. Last year they built an outdoor classroom at Tower Hamlets Cemetery Park and this year look to build something lasting that promotes a healthier lifestyle. In only 3 and half days, the young people will build an indoor cave at Mile End Urban Adventure Base (UAB). The cave will be designed and constructed entirely by the young people themselves, with expertise provided by local charity Build Up Foundation. 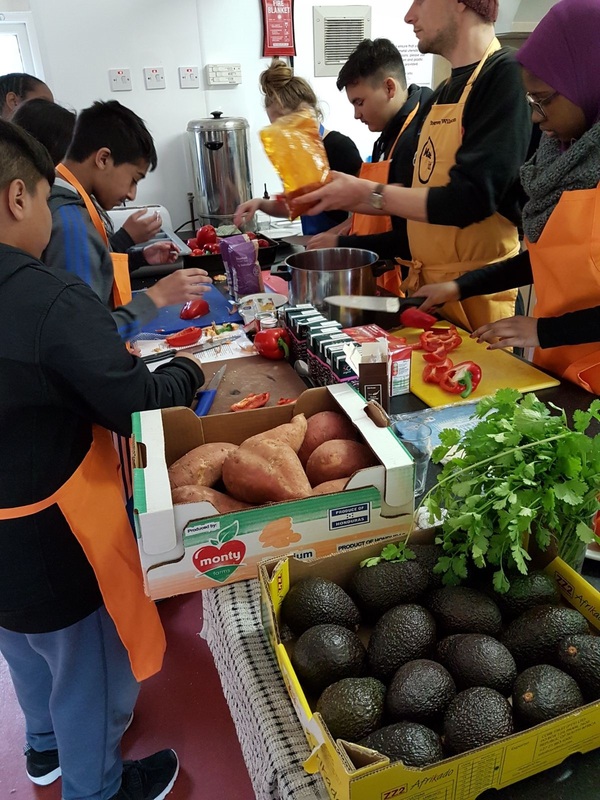 Students will come together from three different East London schools and throughout the project they will learn about healthy eating by cooking all their own meals. They will also produce a short film of their experiences. After the project, our students will introduce the cave to local children on activities day they will lead for 360 year 6 students transitioning to secondary school. The idea for a cave came about after our young people tried caving last year and it was a hit not only with our young people, but also with staff who saw how it fostered teamwork and problem-solving. Once built, the cave will serve as a high-quality play facility. Thousands of local children will play in it each year, getting active and making friends they may not otherwise have met. It will also support the UAB in their own work with young people. The centre only has one all-weather activity at present, making rainy days a challenge. The introduction of a second all-weather activity will ensure the centre is able to deliver activities for young people, come rain or shine and will act as a draw to the youth centre, putting children in touch with the other activities available.